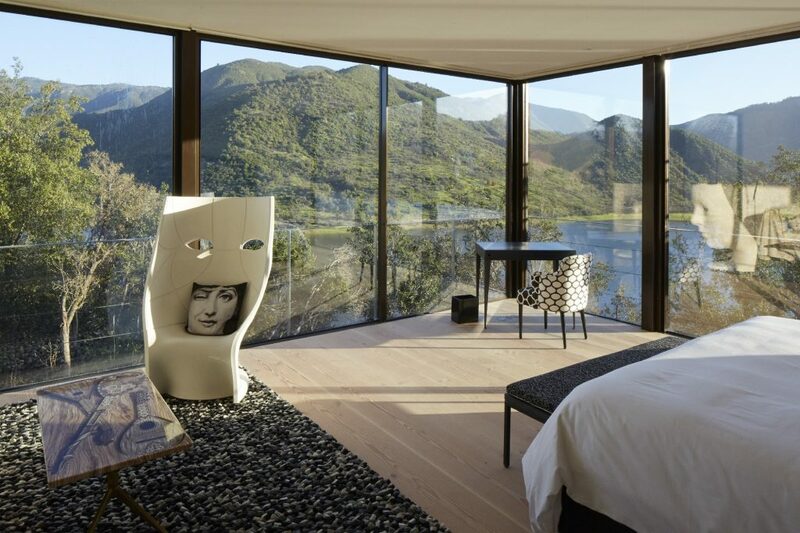 Nestled in the seldom-visited Millahue Valley some two hours drive from Santiago lies Viña-Vik, an artistic vineyard hotel that has to be seen to be believed. 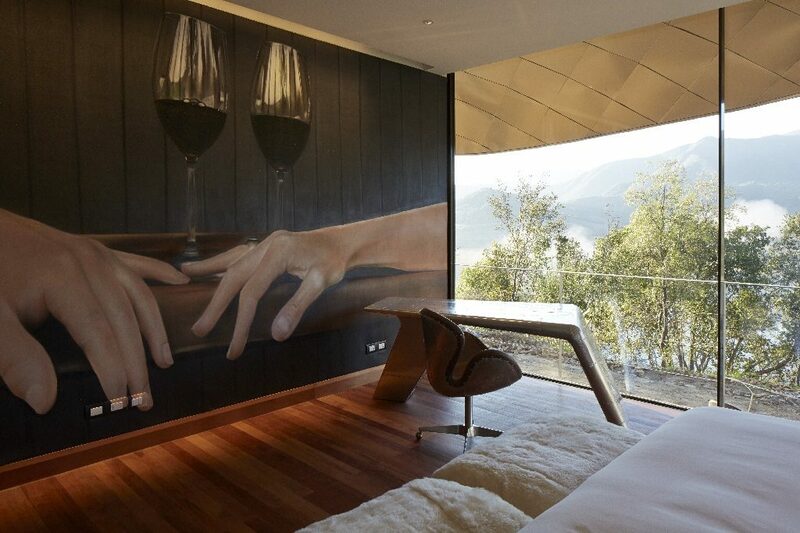 The brainchild of Norwegian-Uruguayan billionaire Alexander Vik and his wife Carrie, the project is redefining the concept of the art hotel in Chile while producing some the country’s greatest vino. 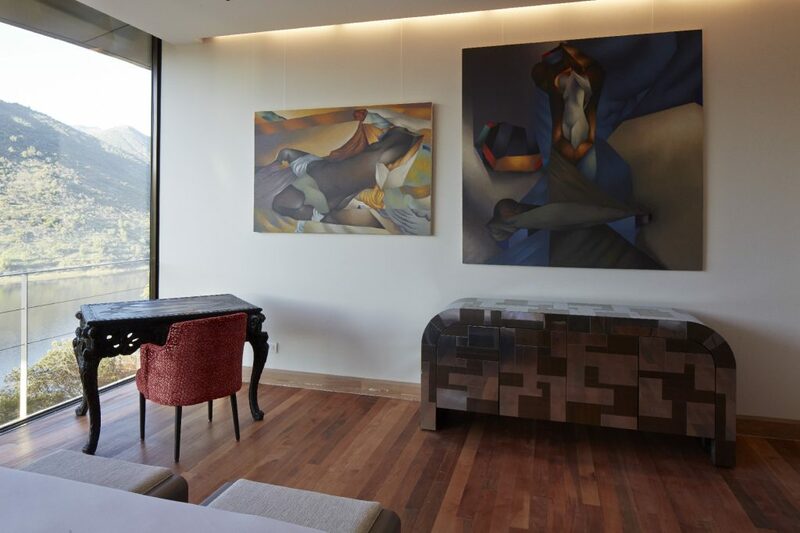 The stunning luxury hotel feels more like a contemporary art museum than a place to lay your head. Built on the crest of a hill in the middle of a lush valley, its undulating reflective bronze roof can be seen for miles around. Viña-Vik doesn’t exactly blend in with the landscape, an intentional statement of its bold and audacious design. 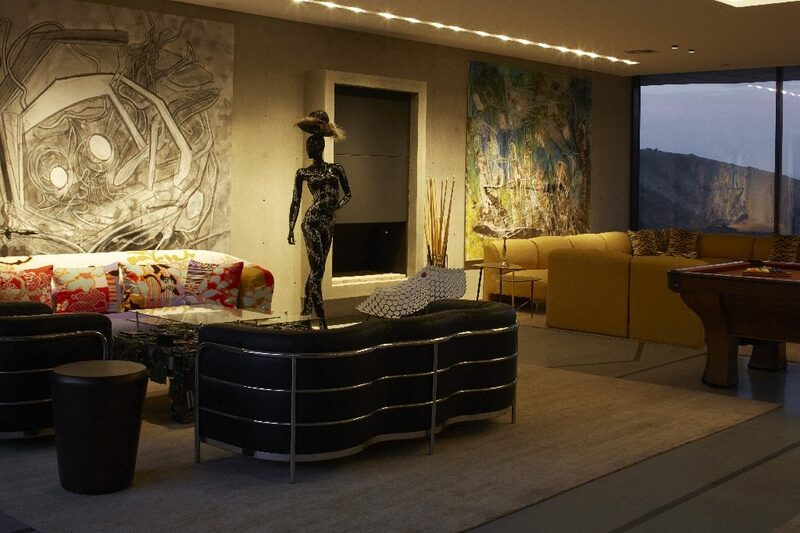 Inside, the stylish communal area is immaculately decorated with abstract expressionism from one of the country’s best known artists, Roberto Matta. 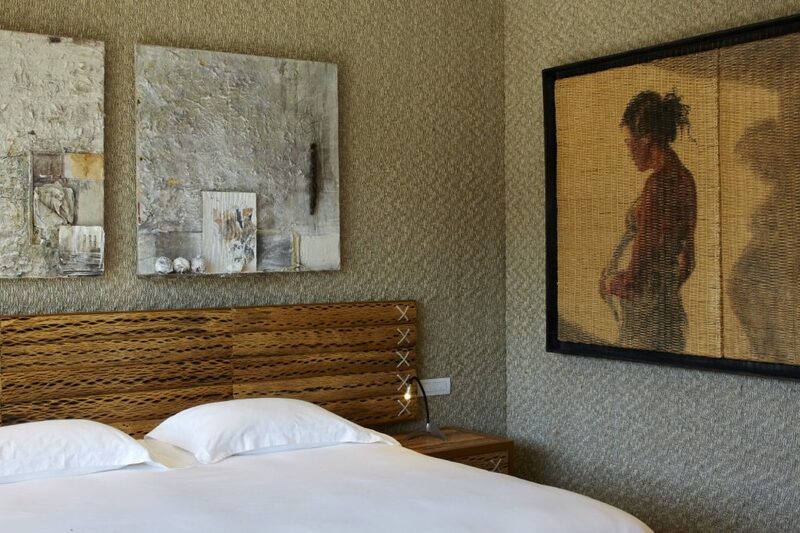 Creative, personally-curated and commissioned antique furnishings can be found throughout the hotel. Its 22 suites are no less impressive, each with their own unique theme and expressive interior design. The Shogun Suite, for example, is the work of a Takeo Hanazawa, a Japanese artist Vik met at an international exhibition many years ago. Hanazawa spent two months creating his masterpiece, meditating every morning to find divine inspiration. Then there is the work of Alvaro Gabler, a Chilean Realist who spent six months perfecting his suite. His signature style is to use drapes and crumpled paper to create an optical 3D illusion throughout the room. 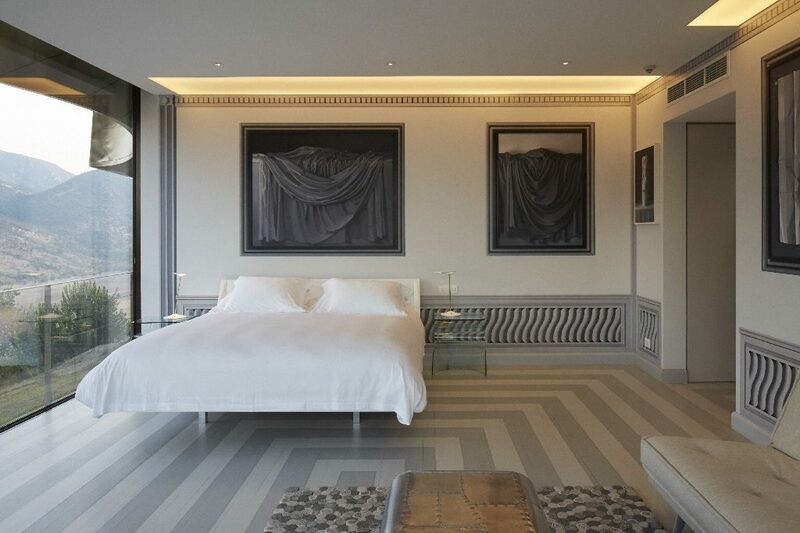 The hotel boasts another 20 stunning rooms, each with their own unique design such as the artistic Graffiti Suite. The super quirky Azulejo Suite. And the funky Retro Suite. Even the hotel restaurant has its own unique artistic flair. Internationally trained head chef Rodrigo Acuña Bravo is a traditionalist who doesn’t think much of new-age molecular gastronomy. 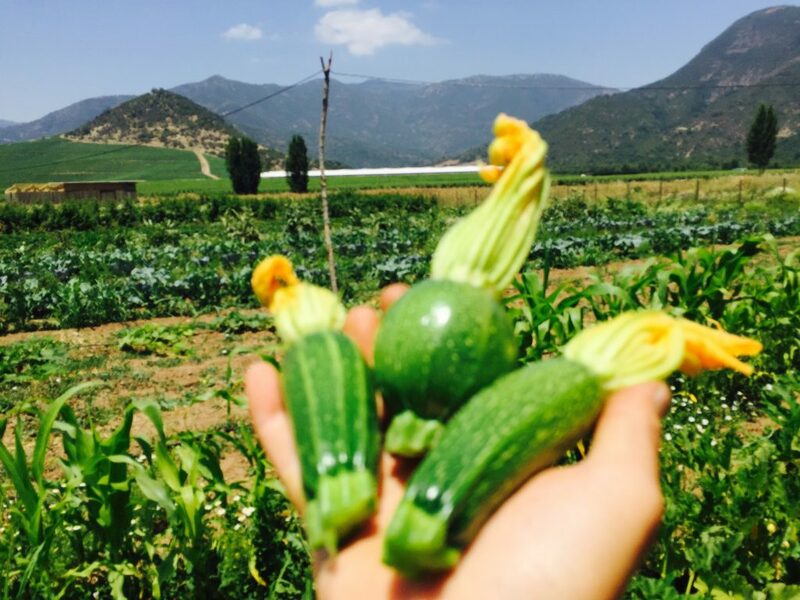 Instead, his passion lies in regional cooking, motivating him to wake up early every morning to collect his ingredients from the farmers and local suppliers of the surrounding countryside. This approach allows him to serve up fresh farm-to-the-table meals in a non-pretentious, family-friendly atmosphere. As unique and imaginative as the hotel sounds, it’s actually a secondary project to an in-house vineyard. 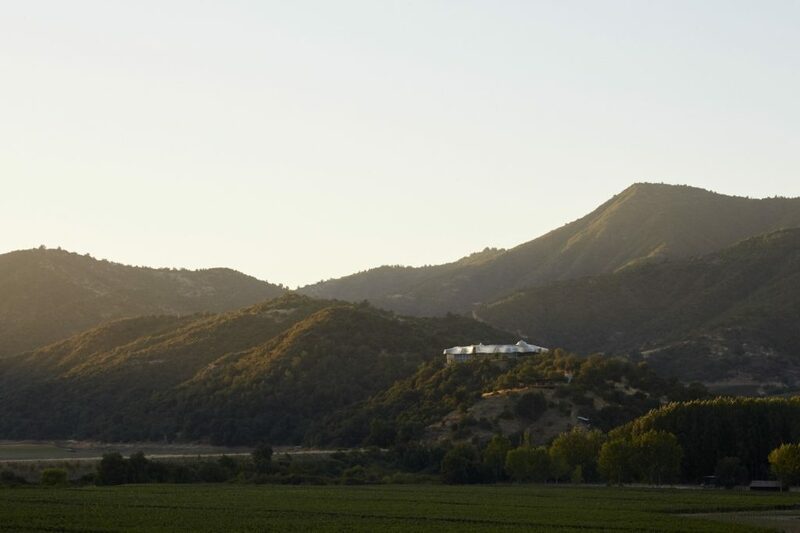 Vik founded the vineyard with a bold vision, to produce the best wine in the entire nation. 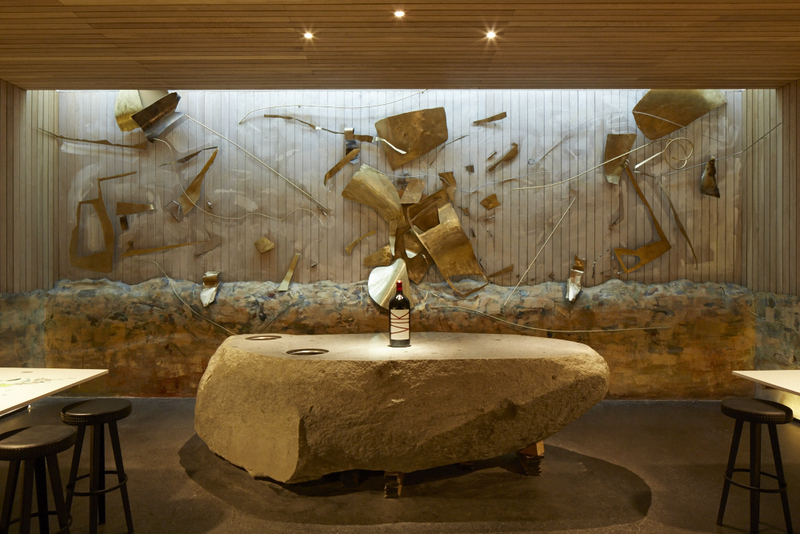 To get the ball rolling, he hired two renowned French wine consultants to seek out the best wine growing climate in Chile before settling on this piece of land. Internationally trained specialists were then contracted to run tests on soil, air temperature, wind and rain in order to determine the best grapes to grow in these conditions. They settled on a mixed blend of Cabernet Sauvignon, Carmenere, Syrah, Cabernet Franc and Merlot, employing the most refined techniques to ensure an exquisite final product. All grapes are handpicked at night and fermented in stainless steel vats before being put into French oak barrels to age for several years. While the jury is out as to whether Vik makes the best wine in the county, he certainly is having a red-hot go. His 2011 vintage, which retails at US$1700 per case, is up there with the best of them.